The Dolby Theatre is an amphitheater located in Hollywood. Dolby Theatre was originally known as the Kodak Theater. Dolby Theatre is located on the famous corner of Hollywood Blvd and Highland Ave. Dolby Theater sits adjacent to the TCL Chinese Theater and the Walk of Fame. 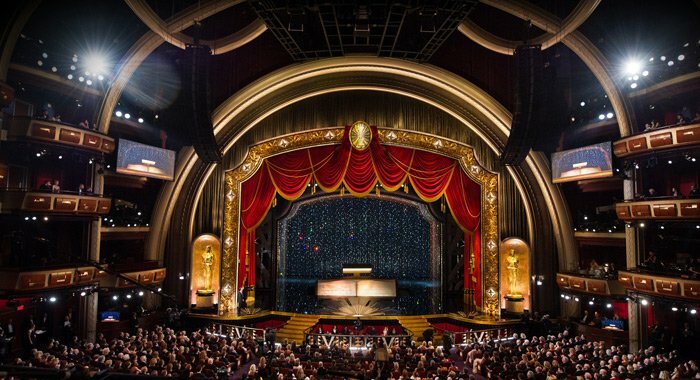 Dolby Theatre annually hosts the Academy Awards (the Oscars). The Oscars are considered the most prestigious motion picture ceremony. Getting in and out of Hollywood traffic can be a hassle. Use EVX Limos to get you to your venue in a safe and reliable mode of ground transportation. Your chauffeur will pick you up from your origin to the The StubHub Center and return to pick you up at a pre-arranged location at the desired pickup time. Point-to-point rates apply to only Sedan and SUVs. If you are running late or want to leave early, call our reservation team to change the pickup time at (844)266-5389. Your chauffeur will pick you up from your origin and take you to the Dolby Theater and wait for you until you are ready to return to your origin. If the event takes longer than expected no need to call our office, once you are ready to leave call the chauffeur and he will meet you at the designated pickup location.